Methodism under its founder John Wesley presented an unusually open space for women in the eighteenth century. Though at the beginning of his ministry Wesley’s attitudes towards women reflected the cultural, social, and ecclesiastical prejudices of his day, this attitude shifted over time as he witnessed the powerful work of the women of Methodism. In fact women came to play a vital leadership role in early Methodism, leading devotional groups, Sunday schools, and even preaching. Furthermore, the influence of women within Methodism was so great that until 1830, nearly 57% of its membership made up of women (Hempton 137). 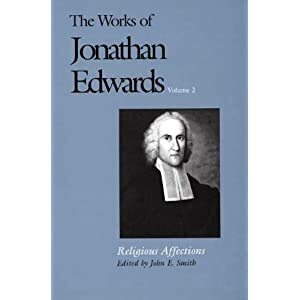 Much good scholarly work has been done in the past twenty years on the extraordinary women of early Methodism and I will not retrace their arguments here1. Nevertheless relatively little work has been done on the contributions of religious lay-women like the largely unknown and forgotten female contributors to John Wesley’s Arminian Magazine. 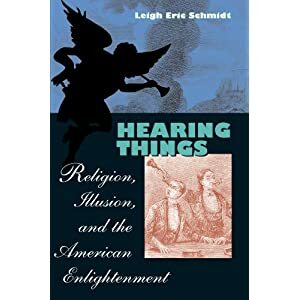 What I want to argue here is that by striving to listen to these women in their own terms and according to their own cultural and religious contexts we can begin to better understand how the women of early Methodism viewed the relationship between the inner experience of spiritual regeneration and speaking, writing, and acting in the public sphere. John Wesley founded the Arminian Magazine in 1778 in response to growing tensions within evangelical revival over the question of predestination. The evangelical revival in England was both diffuse and diverse with, by mid-century, this controversy spilled over into the pages of the religious periodical press. The Calvinist evangelicals launched the first salvos in The Spiritual Magazine and The Gospel Magazine, lampooning Wesley, satirizing his writings, and portraying his followers as enthusiasts (Heitzenrater 267). In reply, Wesley began publishing the Arminian Magazine: Consisting of Extracts and Original Treatises on Universal Redemption to counteract this Calvinist message. Thus the purpose of the magazine, for Wesley, was to defend “universal redemption” against predestination not only through polemic and theological argument, but also through the personal experiences of actual Methodist men and women. This real-life experience was proof positive for Wesley that the salvation experience was available to all. It is in this context that Wesley solicited personal religious experience accounts for the Arminian Magazine. Because of his extensive correspondence and the fact that Wesley corresponded particularly widely with women, the influence of women on the pages of the Magazine prior to Wesley’s death is particularly striking. Of the 238 biographical accounts in the Arminian Magazine, 79 are about women (Tolar Burton 200). Interestingly enough, 113 of these accounts were published between the inception of the magazine in 1778 and Wesley’s death in 1791 (Jones 275), at which time men’s and women’s accounts were almost equally represented (Tolar Burton 200). 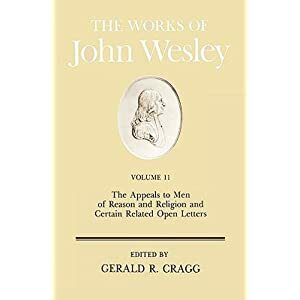 Furthermore, according to Jones, nearly forty percent of all biographical material published under Wesley’s editorship was by or about women, though only fourteen accounts can be directly attributed to women authors (Jones 276-277). Finally, even after Wesley’s death, Tolar Burton estimates that almost a quarter of the published accounts were about women, though even fewer were authored by them (200). Even more interesting is the fact that, despite the clear evidence of John Wesley’s editorial hand, the Arminian Magazine narratives written by women about themselves have a quality quite distinct from both the accounts about men and the accounts by men about women. Instead of being stories of chaste and upright women, these women often spend relatively little time on their lives and family and instead focus on their intense experiences of inner spiritual transformation. 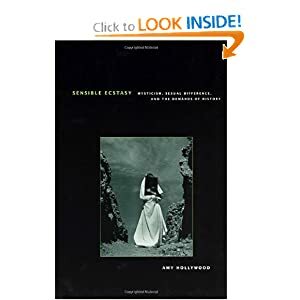 It is this intense sensible spiritual experience that both sets these narratives apart from conversion accounts written by and/or about men and prompts these women to speak and act publicly. In doing so, they move women’s religious experience out of the limited domestic sphere traditionally assigned to female piety, into the broader religious community. Broadly speaking, the religious experience accounts by women that appear on the pages of the Arminian Magazine fall into a relatively consistent seven part narrative pattern: 1. Consciousness of sin; 2. Acquaintance with Methodism and search for salvation; 3. Justification; 4. Opposition from within and without; 5. Search for “Christian Perfection”; 6. Achievement of perfection; and 7. Evidence of God’s grace in life and community. The first narrative convention that appears in all the Arminian Magazine narratives is consciousness of sin and the need for salvation. As with many Methodist women whose writings have survived, all four of these women were relatively religious girls, who tried to observe all outward signs of piety. Elizabeth Scaddan recalls that from an early age she was taught by an older pious woman to observe her duty to God and neighbor and that “the duties of religion demanded my chief concern. Her endeavours so far succeeded, as to give my mind a religious turn; and before I was ten years old, I felt a concern whenever I thought I had offended God”. My state of mind was now distressing. I had many doubts and fears, the burden of sin lay heavy upon my conscience, and I groaned under it…. O how I longed to come to him; but found I was shut up in unbelief, and could not break my chain…. I found a divine attraction upon my heart, and had many visits of God’s love; but I wanted justifying faith, and a clear sense of my interest in Christ, and determined not to rest till I found it. Like many women who wrote their conversion accounts, Mrs. Planche feels that she knows the way to salvation and even possesses the desire to be saved, but cannot achieve it herself. As such, this portion of the narratives is often filled with stops and starts, with intense spiritual experiences that almost result in a sense of justification, but always fall short. Though this struggle for justification could often last months or even years, in the relatively short Arminian Magazine narratives this time frame is compressed and the account of justification often directly succeeds spiritual struggle. This is arguably the most important point in the narrative for these women, and their descriptions of the moment of justification are remarkably similar. In every case, justification is preceded by some sort of religious activity – prayer, scripture reading, religious services – and the sense of justification comes to these women without the effort or striving that characterizes their earlier attempts. Mrs. Planche writes, “the Lord then spoke peace to my soul. He took away all guilt and condemnation from my conscience, and shed abroad his love in my heart. I knew my sins were forgiven, and that I was accepted in the Beloved”. Thus, what distinguishes these moments from their previous religious experiences is that they mystically feel their sins have been forgiven – that they have been justified to God. There is a sensible, experiential quality to these narratives that reflects John Wesley’s belief that the individual could experientially know that he or she was saved and that God loved them. However, this sense of justification is often frequently questioned and opposed from within and without as the women begin to question their own spiritual state and friends and family members ridicule them for becoming Methodists. Elizabeth Scaddan was given an ultimatum from her own family who told her she “should no longer remain with them; that they would disown me [for associating with the Methodists]; and accordingly I had only till the next morning to determine what answer to give them”. In the end her family backed down, but it was not atypical for family members to be distressed at their daughters or wives becoming Methodists. 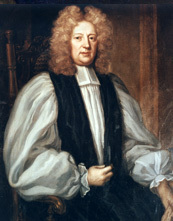 This concern reflected not only contemporary prejudices against the doctrine of justification by faith, but also the prevalence of false rumors that were widely spread about the Methodists accusing them of Popery and even sponsoring orgies at their “love feasts,” or communal gatherings. For Methodists, however, justification was only the first step on a journey to salvation that ended with Wesley’s doctrine of “Christian perfection,” otherwise known as sanctification. The achievement of this most esoteric of Methodist doctrines was the ultimate goal of the Christian journey and Wesley believed it could be obtained instantaneously, before the moment of death. Wesley defined Christian perfection or sanctification as the elimination of all intentional sin, which he believed to be attainable in this life. However, by sin Wesley does not mean any unintentional wrongdoing but a “voluntary transgression of a known law” of God. He came into my soul with such a display of his grace and love, as I never knew before. All my bands were loosed, and my spirit was set perfectly free. I felt an entire deliverance from all the remains of sin in my nature; and my precious Jesus took full possession of my heart. Thus in each case these women represent sanctification as an overwhelming experience of God’s love that destroys sin and then works outward into the community. If we follow Wesley’s positive construction of Christian perfection as pure love for God and neighbor, it naturally leads to the final step of the religious experience narrative: evidence of God’s grace in life and community. For not only are these women’s accounts constructed according to specific community conventions, they also describe how these women see themselves as part of a unified religious community within which they have found a scope for speech and action. As Mrs. Planche writes following her justification, “I did indeed love him with all the powers of my soul, and made a free-will offering of myself to him, to be his for ever. O what a heaven did I enjoy in his favour and love; and how did I feel my soul united to his dear people!” (emphasis added). This is an especially bold statement from Mrs. Planche as she lived a full forty miles from the nearest Methodist society. Her experience prompted her to not only be active within her community, but also advocate with Wesley himself for the stationing of a lay preacher at Kelso, in Scotland. These communal bonds further empowered women to become involved in visiting the sick and poor, lead classes and bands, correspond with the most powerful people in the Methodist movement, and even record their religious experiences for the broader Methodist community. Though many felt inadequate to do so, the outpouring of love they experienced through sanctification provided the undeniable impetus to enter public space. The fact that all four of these women were ordinary laywomen and not female preachers, teachers, or well-known writers further emphasizes this point. Despite the massive amount of scholarship on the Methodist movement as a whole, there is still relatively little research on lay piety in general and lay female piety in particular. What has been done has primarily focused on the exceptional Methodist women, like the preachers, who felt called to radically challenge eighteenth century cultural norms by speaking to men. The four women whose narratives are presented here, however, are quite different. Their entry into public space on the pages of the Arminian Magazine came not so much because they felt called to challenge cultural assumptions in the way the women preachers did, but because Wesley asked them to write about their conversion and they felt compelled to by that experience. These, then, were not the voices of the educated or pious elite, but regular Methodist laywomen who wrote in spite of these perceived inadequacies simply because they felt their experience demanded it. 1. See Paul Wesley Chilcote, John Wesley and the Women Preachers of Early Methodism. Metuchen, NJ: Scarecrow, 1991. for the foundational study of women preachers in Methodism, D. Bruce Hindmarsh, “’A Nail Fixed in a Sure Place’: The Lives of the Early Methodist Preachers.” The Evangelical Conversion Narrative: Spiritual Autobiography in Early Modern England. Oxford: Clarendon, 2005. 226-260. for an exploration of the lives of women preachers that appeared in the Arminian Magazine, and Vicki Tolar Burton, “The Mystic and the Methodists: An Account of the Experience of Hester Ann Rogers.” Spiritual Literacy in John Wesley’s Methodism: Reading, Writing, and Speaking to Believe. Waco, TX: Baylor UP, 2008. 197-231. for the most comprehensive study to date of the most famous Methodist woman writer. This entry was posted in Eighteenth Century, Literature, Methodism, Religion and tagged Arminian Magazine, Conversion, Eighteenth Century, Methodism, Women. Bookmark the permalink.